This résumé was first coded for Lynx in 1993, then as a web page in 1997. It's much abbreviated now because I'm no longer self-employed; moreover, am retiring pretty soon. For a career summary, please visit my profile at LinkedIn. A list of my fiction titles appears further down on this page, along with some newspaper and magazine reviews. Here in a PDF (March 2018) are the episodes of All the Realms mentioned in my Amazon.com Author Central biography. The Tibetan sadhana and prayer texts I've produced and published are shown at the bottom of this page. Here is a Tibetan prayer flag heavy with Tibetan-Sanskrit, with illustrations of the five dignities. The typesetting entailed many days of intensive work; which a good friend followed with the very difficult job of screen printing a 30 x 44 inch stencil on cotton in one piece. My Cornish language lexicon was closed in January 2009 after ten years of operation. You are still welcome to write to me if I can help with your house names and whatnot. The Victorian-era sources from which I created the resource were suddenly available in complete searchable facsimiles at Google Books, and the more relevant Cornish Language Board sources are protected by copyright and could not be adapted by me into a web-database format. Paul Davies has been employed in writing, commercial art, publishing, consulting, business management, and computer programming and application design for forty-four years. Born in Vancouver, Paul came to Toronto in 1970 to study baroque music at the Royal Conservatory of Music. Taking an interest in typography, Paul studied Book Arts at night after completing high school; founding an antiquarian bookselling business in 1971 (the youngest person ever admitted to the International League of Antiquarian Booksellers). In 1974, Paul began a craft publishing enterprise, Basilike, featuring the work of English authors prominent in the 1930s and 40s. His publishing archive is now at the University of Alberta, and was the topic of a non-thesis Master of Library Science project in 1981. Paul was invited to write a memoir of this project which was published by Carleton University Press in 1987. In the late 1970s, Paul attended the University of Toronto in mathematics, while assisting his older brother to establish Aya Press, a successful small literary publishing house, which operated for eight years. Over this time Paul spent his summers as a motorcycle racer, and was also a volunteer broadcaster for the Radio Reading Service. Subsequently, Paul held management positions in purchasing, merchandising, and distribution for a division of Polygram Records, managing a staff of twenty-five. In 1981, Paul found employment in Calgary, Alberta, where for four years he was engaged as a research analyst and technical writer in frontier oil and gas. His major project was the data synthesis and writing of the Resource Management Plan for Lancaster Sound Region Hydrocarbon Development, a four-year, $1.2 million technical and environmental study under the direction of Dr. A.E. Pallister, O.C., in support of an application to drill an oil well offshore in the High Arctic (where Paul spent 48 weeks in field work). Other projects included the 1984 East Coast Petroleum Operators' safety study; principal staff writer for a frontier oil and gas industry magazine, APOA Review; and co-editing a bibliography of northern development, among other publications. As well, Paul's employer was a vendor of research documents, with hundreds of titles in print, and Paul administered the company's substantial print budget, preparing and designing a large number of publications. Paul studied part-time at the University of Calgary in mathematics and drama as his intensive schedule permitted. In his spare time Paul was active in pistol shooting competition, achieving national ranking in ISU Centre-Fire events. Returning to Toronto in 1985, Paul was retained for a joint government-industry undertaking to conceive and implement an automated system for type and art for book manufacturing. This project was successfully completed, and enjoyed good publicity. Paul moved his business to a big country house in Frontenac County, Ontario, for two years, on a small hobby farm where he grew berries. Over the following twelve years under a concurrent book arts contract, Paul designed and produced more than one thousand trade and scholarly books, designed and implemented a second substantial computer production system for legal books, and won six national design awards. 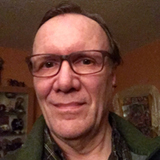 As well, Paul taught at Ryerson Polytechnical University for two years in computing methods for publishing, enjoying active recreational interests in opera, musical theatre, and Moorcroft pottery. Also at this time, in addition to frequent travel in Europe, Paul survived a gruelling seven-week overland trek along the Kathmandu Road through Tibet and Nepal. Starting to write creative fiction on mythic themes in 1991, Paul published ten books over the following nine years with prominent Ontario and Quebec small presses. Paul's eleventh book, Some Sunny Day, a novella, was published in 2005 by Insomniac Press in Toronto, and was No. 1 sales rank in "Experimental Fiction" at Amazon.ca for fourteen months. In 1997, Paul returned to the University of Toronto on a part-time basis, studying Latin grammar and semeiotics, while working independently doing website development and Flash programming, certified as a Java solution provider. Since 2000, Paul has been a project manager at a prominent Toronto systems manufacturer, where he originally developed and now with his staff operates a number of online applications in global trade — in particular a security screening tool which helps prevent bad agents from unlawfully purchasing defense trade items for their purposes. These products are widely subscribed around the world, and for which undertaking he has travelled extensively in the United States and Northern Europe participating in conferences and seminars. In 2013 Paul and a co-developer were awarded a U.S. Patent for a component technology, then a second U.S. Patent in 2017 for a security technology. Paul now dedicates much of his spare time to Vajrayana, a meditation practice in Tibetan Buddhism, and is privileged and grateful to have attended several retreats with HH The Dalai Lama, Kyabgön Phakchok Rinpoche, Venerable Khenpo Sonam Rinpoche, Thích Nhất Hạnh, and other distinguished teachers. In 2005, Paul put together a high-quality Tibetan language typesetter, and in recent years has published more than forty Sadhana practice and prayer books texts in Tibetan, English transliteration, and English translation [see below], also large Tibetan and Tibetan-Sanskrit prayer flags [enlarge in Acrobat to read]. These books are remembrances, confessions, apologies, explanations, and complaints. They all arose from a single event which took place twenty-two years before any of them were written. Walking out in the early morning sun one day at midsummer in 1969, I was overcome with a tremendous resonance. It was a song, the Song of Amergin, which haunted me every day thereafter and (I discovered) brought me the memory of experiences long past. I tell this story in Exactly 12 cents and other convictions. I tell people now I could swim in those waters and not drown, but, while that may have been the case later, I struggled for many years before I began to understand its process. The essentials of that struggle I tell with added pathos in The Truth; later all the remembrances in a single stream in Some Sunny Day, both of which sold well and were well-received critically. As were Grace: A Story my most engaging book, I think, which enjoyed a college course adoption in the U.S., and my first collection Oblique Litanies: Nine Conversations and an Afterthought. I'm grateful to have had many insightful reviews in magazines and newspapers over the years, from many distinguished critics. There's always one or two who don't like some particular book, of course. A well-known poet used to come out for each of my books, to stone me in one of the Halifax papers, but I was happy for his attention also. Oh, I will add one retort for the reviewer of The Truth in The Toronto Star: Yes, if you own a 1957 Pontiac you can start it up on a cold January morning in Alberta by blowing in the carburetor. A hair dryer would have been better, mind you. The only one of my books that did not have any good reviews to speak of was Pig Iron, a story in several voices written for film. * Another, A Dialogue for Five Voices, was not reviewed, apart from a passing notice in The Globe and Mail. It is not a remembrance of the past, but of the future, stirred by someone I knew years ago. My friend was among the soldiers trapped and starving on the mountainside for many months during the siege of Monte Cassino. He only volunteered a few words to me. The episodes of this career could not be told. A memory of my own future, the episodes of my life now as it happens. The song still resonates, but one finds oneself so much older so very suddenly, and out in the cold somewhat. The conversations cannot continue. I am assured at least that my experience creating this writing — the journey, if you like — was the maximum possible that the activity as a category can provide. I've had worse than this, mind you. I was a school patrol on December 15 1964, in Grade 6 at Crestwood Elementary School in Edmonton, Alberta, the day it was colder than it had ever been before, or has ever been since. The radio announcer didn't say "Crestwood" reading his list of school closures, so my friend Grant and I went on our way, fulfilling our duty at the 96th Avenue crosswalk along the way, unaware that thousands of beef cattle were that moment freezing solid on their feet in their shelters. The blizzard raged with much snow, high winds, and bitter cold. I saw on the front page of the Edmonton Journal that evening, delivered by another boy indifferent to the crisis, a chart showing the windchill temperature of -90°F. Back then the transit bench by the crosswalk on 96th Avenue was painted with the slogan "Rest and Read the Journal", but there was no one relaxing there with the newspaper that day. Covers and more about Davies' books can be found in the Writing section of this portfolio. See Some Sunny Day at Amazon.ca. See The Truth at Amazon.com. See Gelignite Jack at Amazon.com. See Pig Iron at Amazon.com. * Pig Iron is a novel in several voices, is the only one of my books that did not have good reviews. The book is a complaint about what I perceived to be troublesome about Christianity, although I did not have the schadenfreude to make that objective plain at the time. The narrative method employed is in truth an interpretation of my experience of the Christian world-view, which moved me to Buddhism as a child. The person in the novel is trying to make up a failing to someone else, when they've already forgiven him. What he can't do is forgive himself. While the dispute pursued in the story is irrelevant to me now, its imagery is clear. The story begins with its central character, Breithaupt, reflecting in a chapel. He was a woodworker before gathering his followers and commencing his mission, before his followers narrated their versions of those shared events. One of the characters in the story, Ephram, is Jewish and a Holocaust survivor. Ephram's practical, earthy voice evokes the practical but detached Old Testament authorities in the New. Involving Ephram in that event of absolute suffering, and his role with the boy, brings emphasis to the my difficulty with the Christian remedy to human suffering. The tertiary material at the end of the book provides too much guidance; my experience of Bible study as a child. The book is dedicated to my brother, who also left Christianity as a young person, although for Orthodox Jewry and not Buddhism. I am warmer to Christianity again now. Before and since my books have been praised for their courage and risk-taking. Risks have to fail with the critics from time-to-time or they are not worthy of that description. Tibetan language texts, many transcribed from mediaeval u-med script, all composed in modern u-chen and transliterated with English translation, published by the Riwoche Society (2005 through 2015). Thirty-seven books have been completed. Eyestrain has stopped me working from the manuscripts, with the Dudjom Rinpoche Quintessence of the Profound Path (a rite of purification for guiding the dead) stalled for the moment with only about ten pages to go. These titles are included here on the possibility that it might help people looking for the texts in a quality format to locate them. The "Lotus Lattice" Field Accomplishment Practice Lineage Prayer called "Lotus Iron Hook"
Ushnishavijaya's Dharani Accomplishment and Offering Ritual, Clearly Arranged, and Called "Stainless Jewel"
Aspiration Prayer from "Undertaking The Conduct"